Publisher Desc. 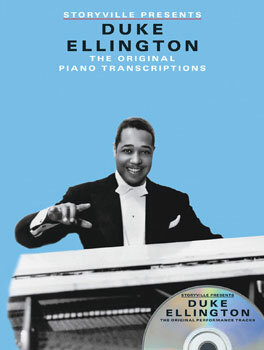 A superb career-spanning collection of ten classic Duke Ellington performances from the Storyville Records archives, complete with matching transcriptions and ORIGINAL RECORDINGS on the CD. Together they offer a unique insight into the technique of one of the all-time great jazz pianists. Songs include: C-Jam Blues; Caravan; Don't Get Around Much Anymore; Satin Doll; Take the "A" Train and more.